Being focused on a defined list of technical skill sets allows us to more effectively recruit local talent. Relay Technology is a St. Louis based provider of Information Technology staffing solutions. Our mission is to help our customers maintain their competitive advantage by delivering highly skilled technical consultants when and where they need them most. At Relay we take time to get to know the technical professionals goals and employment desires. Many factors contribute to find the perfect position including technology stack, current and future projects, company location, benefits, and of course income. Finding out the motivation to make a career change helps us locate the best opportunity for you. Whether you are looking for contract or direct hire we have you covered. Our business is split equally between the two on-boarding options, with contract to hire also as an option. While on contract, we offer medical benefits, 401K, as well as paid time off. At Relay Technology we take pride in providing qualified technical candidates with excellent communication and interpersonal skills. We thoroughly prescreen each candidate thereby reducing the time it takes for selection and review. Our goal is to build a working relationship that is mutually beneficial for both our customers and technical consultants. As a result, we are highly motivated to consistently deliver the best consultants and the best customer service every time. By focusing a majority of our efforts on recruiting Developers we are more effective at finding and vetting local talent for our customers. We save our prospective technical professionals time and frustration by being able to accurately describe the technical environments and projects. Our team is experienced and dedicated to our craft. We each average over 12 years of experience in recruiting and account management. The team is small but very effective as we are very focused in the technology we recruit and the customers with whom we work. 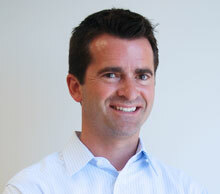 Eric began his career as a technical recruiter with a national staffing firm in Nashville, TN. He quickly moved into account management and then transitioned into office and regional leadership. Eric’s primary focus has been in recruiting and placement of technical professionals with application development backgrounds. Eric is a co-founder of Relay Technology and is predominately in a client facing role. He is a 1997 graduate of Missouri State University and resides in University City with his wife Teri, their son Colin and daughter Grace. 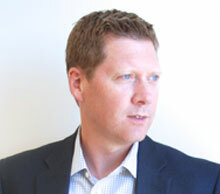 Jeff began his career in staffing in 1996 as a technical recruiter for a national firm. His focus was originally in contract engineering but was quickly promoted into account management in the information technology division. From there, his primary focus was to help develop the largest healthcare client in Nashville, TN. Jeff is a co-founder of Relay Technology and his primary focus is developing customer relationships. He is a graduate of the University of Tennessee and resides in Glendale with his wife Ginny and their two children, Margaret and Wilson. Please take a moment to view a few of our open positions. Great opportunity for a talented manager / architect! You will be responsible for a team of 8 developers, providing mentoring/code reviews; participating in full stack development (C#/ASP.NET); defining the architecture and insuring the alignment with the overall IT strategy. Check out the full description. We look forward to speaking with qualified candidates! We have partnered with a great local client to help them identify a highly skilled Principal Business Analyst. They are needing someone that has solid agile experience and can work effectively across all aspects of the business and SDLC. Please see the full description. If you feel you possess all of these skills, please reach out! We look forward to speaking with you. Under the direction of the Manager, Technical Training and Support, participate in day-to-day operation, support and training for assigned software and web applications. Provide first level support to internal and external stakeholders, serving as liaison between business, vendors and other support teams for business and web applications. Communicate effectively with customers on progress and ensure satisfaction with the quality and timeliness of work done. Respond to requests for service and incidents reported by stakeholders. Prioritize and escalate to appropriate staff or vendors for resolution in a timely manner. Track progress of service and issue resolution. Effectively communicate to stakeholders the status of requests. Design, develop and deliver applications training programs and individual classes. Maintain updated training materials, including self-service documents and knowledge base materials. Create and maintain documentation for internal and external stakeholders. Assist with content updates for web and intranet sites. Participate in testing and implementation of new systems. Confer with programming staff regarding program changes and problems. Consult with staff and affiliate business units to align technical solutions with business needs. Identify, evaluate, and support business improvement opportunities within organization. Set up and maintain user system access according to established procedures. Assist Manager, Technical Training and Support with other duties as assigned. Experience with Business Process Management (BPM) practices and procedures, and customer centric methodologies. Knowledge of enterprise-wide view of business and varying degrees of appreciation for strategy, processes and capabilities, enabling technologies and governance. Proven ability to recognize structural issues within the organization, functional interdependencies and cross-silo redundancies. Ability to act as liaison conveying information needs of the business to IT. Bachelor’s Degree from a four-year college or university with emphasis in information systems or computer science, or one to two years related experience and/or training; or equivalent of education and experience. The position of Senior Developer is primarily responsible for developing highly scalable and reliable enterprise-level web-based applications. Participate in an On Call rotation. This is a 6 month contract-to-hire. We are currently assisting one of our clients, a cutting edge technology firm based in the downtown area that is in the process of developing a fully encompassing high availability social media application, in their search for a Software Engineer to join their team in a permanent capacity. We are considering IT professionals possessing all levels of experience!! Expertise and in depth knowledge of distributed database and systems architecture, specifically within Linux and NoSQL driven environments. Experience developing from the data layer up to the DOM, and a passion for working in a “full stack” capacity. A preference in adhering to proper code conventions, including the proper use of indentations, line length, in line comments, function / variable declarations, function / variable naming, name / white spacing, etc. Previous experience designing and developing robust RESTful JSON API layers (and consuming external services) to create rich, dynamic user experiences that incorporate remote data and service execution. Experience working with both RDBMS and NoSQL solutions, including but not limited to MySQL, PostgreSQL, MongoDB, Redis, Cassandra, Riak, CouchDB, DynamoDB, etc. Knowledge and previous experience working in a short sprint, Agile / BDD / TDD / CI driven environment, with specific experience using tools and technology such as the Atlassian suite of products (JIRA, Confluence, BitBucket), Jenkins / Bamboo, Nexus, Git for source control, among others. Passionate about technology as a whole and desiring the opportunity to build revolutionary software solutions from the ground up. This is a great opportunity for a professional who enjoys working on challenging projects that require them to think before executing on their assigned tasks, the opportunity to work in a cutting edge and continuously evolving technical environment, and the chance to work with some of the brightest minds in the development field here in St. Louis. Interested or need more information before moving forward? Apply directly and a Relay Technology Recruiter will give you a call right away! Bachelor’s Degree in Computer Science or a relevant field required. 5+ years of experience in a progressive systems development role, preferably in a J2EE development capacity. High level of proficiency and advanced knowledge object oriented development (OOD) best practices. 5+ years of experience developing web based applications in J2EE. Expertise in working with technologies including J2EE, MySQL, Hibernate, Tomcat, Eclipse, Git, Jboss, Ruby on Rails, Struts, among others. Experience developing advanced algorithms from a development perspective highly desired. Certified or advanced expertise in Project Management Methodologies, Agile / Scrum experience preferred. A desire to work in a fun, fast paced, entrepreneurial environment. Work hand in hand with the organization’s existing development team to design, develop, and deploy native Android applications. Participate in all discussions pertaining to the selection and adoption of various frameworks, interpreters, and approaches such as Cordova (PhoneGap), React Native, Ionic, Corona, among others for new application development initiatives. Develop intuitive, user friendly native mobile applications which will be used by both internal staff as well as the organization’s consumer base, with a focus on ease in the way of maintenance, user experience, among others. Design, develop, test, and deploy software in a mature, fully staged development environment and while following best practices such as Agile, Behavioral Driven Development, Test Driven Development, and Continuous Integration / Deployment. Work with staff to enhance the organization’s infrastructure environment, whether through the automation of infrastructure solutions currently in place, or the implementation of new solutions to enhance the reliability and availability of the organization’s applications. Bachelor’s Degree in Computer Science or a related field highly desired. Experience in lieu of a degree will be considered on a case by case basis. 2 – 4 years of experience in a software engineering capacity, with specific expertise in building applications using languages including Java, PHP, Python, Ruby, among others. Ideally, some exposure to native Android development would be nice to have, but not required. A passion to get into a native mobile application development capacity, with specific interests in the way of working on Android applications. This position is offering a competitive compensation and benefits package, both on an hourly basis and upon conversion, as well as the opportunity to work in a family friendly, collaborative, and technically progressive environment. Interested? Have questions? Reach out to a Relay Recruiter for more information. We look forward to speaking to you about your IT needs.